As part of the 'Connecting Leeds' scheme, improvements are being proposed for the A660 running from Adel to Leeds. Thank you for visiting our Vote Bike 2018 page. On 3rd May 2018 all 99 council seats in Leeds wil be decided. 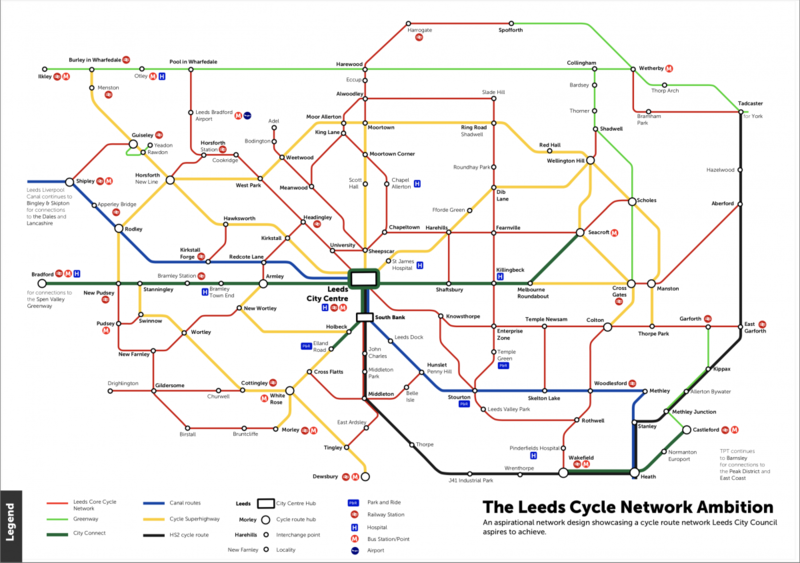 Therefore it is an ideal time to stress the importance of walking and cycling to the future prosperity of Leeds. On 27th February, Campaign members Rob Greenland and Martin Stanley met with PC Ian Micklethwaite (West Yorkshire Police) and Becky Murray (Leeds City Council Safer Roads). Just a small insight into some of what we talked about at our committee meeting tonight. We are encouraging all members and supporters to respond to the consultation regarding the proposed Clean Air Zone (CAZ) for Leeds.